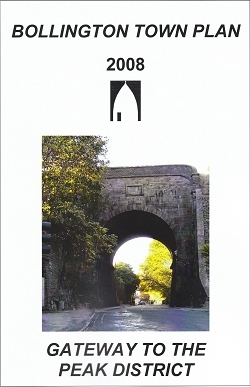 Bollington has previously published two Town Plans, in 2004 and 2008 (right). These were used to inform Bollington Town Council and Macclesfield Borough Council, later Cheshire East Council, but they carried no statutory powers. The Neighbourhood Plan being developed by volunteers through 2014-17 is being prepared under the government’s scheme for communities to develop a plan, particularly for land use and housing, but for other aspects too, that will be adopted by the local borough council, Cheshire East Council (CEC) in Bollington’s case, and to be adopted as a statutorily enforceable plan for the period to 2030. Hold a referendum of the community on the acceptance or otherwise of the Bollington Neighbourhood Plan. The public includes everyone aged 16 or over living within the Bollington parish. All will be asked to complete the questionnaire and later to vote on acceptance of the Bollington Neighbourhood Plan. Once the plan has been submitted to CEC for inspection and checked for compliance, it will be submitted to the community in a referendum and hopefully accepted by a simple majority vote. It will then become part of the Cheshire East statutory plan which must thereafter be considered for all relevant decisions made by the borough council’s officers and the planning committee.